A powerhouse of creativity, drive and passion, the dynamic duo actor/writer/producer team of Young Ezee and Natalie Odell has taken the internet by storm. 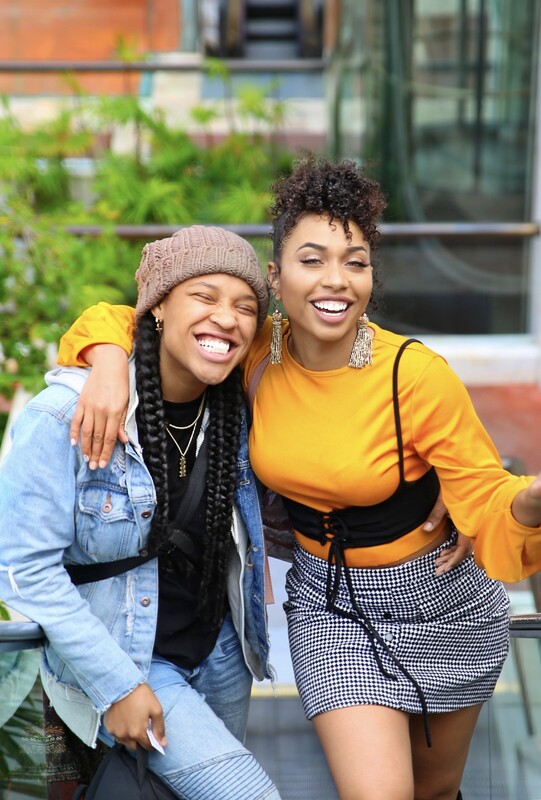 Millennial’s are obsessed with this pair as they have brought comedy, light and awareness to social issues within the millennial generation and the LGBTQ+ community. Their fierce work ethic has given them the unique position to be a voice for young people worldwide. Their goal is to spread the message to be yourself and engage creativity has solidified them as major influencers in the industry. “I find joy in organization. I am an avid user of calendars, schedules and have multiple journals where I engage in journaling my life. It allows me to look back and see where I can better myself. “I grew up in a very spiritual home. My mother taught us about nature and energy and mediation. I use mediation daily to fuel my mind and stay focused. “I love to travel. I plan an annual birthday trip every November. Some of my favorite places to visit are Mexico and the Caribbean. Europe, Africa and Asia are on my top destinations to visit in the near future. I enjoy being outdoors, hiking, discovering unfamiliar places, picking fruit and truly appreciating mother nature at its core. Don’t be fooled by my outdoorsy, go-hard attitude, I love all things opulent and have more than just an appreciation for the finer things in life. I’ve always been an entertainer. Growing up in a very expressive household — my brother, sister and I developed the love of entertaining at an early age. Combining music and dance, my siblings and I were always drawn to the arts and knew it was our calling in life. My biggest pet peeve is dishonesty. Lies, often will bring more trouble than anticipated. “I am a California girl through and through. I love laughter. Not that fake haha, but that real, core-rocking laugh that comes from your soul. One of my greatest joy’s is to inspire people to laugh. “I have always been fascinated with the film industry — how it works, how life and thoughts can be created and manifested into reality on screen. It’s mind blowing. I began writing, filming and acting in self-produced skits as a child and developed a thirst to learn and do more. “I’m an adventurer. My top places to visit are Dubai, Italy, Paris and Hawaii. The globe is awaiting me. “Yes! We are constantly writing, filming, editing, producing, you name it! “I would have to say my family first. They have been instrumental in my growth throughout my life. They are constantly feeding me with lessons, support, ideas. I couldn’t ask for a better family. They are truly my lifeline. “I contribute part of my success to my first ex-girlfriend. My relationship with her allowed me to know who I am. She motivated me to be myself and go after my dreams without judgement on myself or others. The heartbreak that resulted was a time of discovery to look at who I am. “Be honest. It does more harm than good by being dishonest. “Trust your gut. In business it’s not always clear what path you should choose, so if it doesn’t feel right, it most likely isn’t for you. “Don’t procrastinate. By prioritizing and executing your to-do’s, you can accomplish all things. “Value time. There was a point in my life when I didn’t care if I was late or not. The value of time came with maturity and I value time higher than most things. If you are on time, you are late. Stay three steps ahead and you’ll see your path clearer. “In those 2 a.m. moments, although they are few and far between, I tend to weigh my options.